If you ever happen to be in the South of France in the Languedoc Region, don’t miss out on drinking a fresh Rosé wine on a sunny terrasse. Basically all the light Rosés served at the brasseries and restaurants are good for relaxed and happy moments with friends. 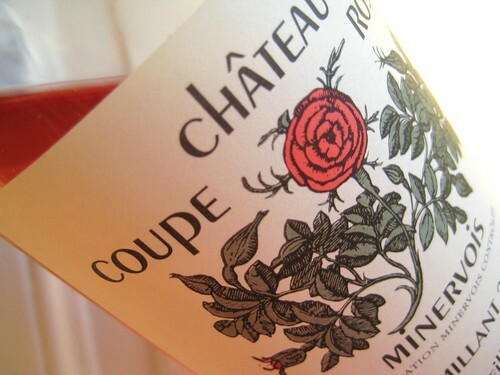 There is one Rosé though I particularly like: Coupe Roses from the Minervois region. This one though is much more aromatic and intense, and therefore much more appropriate for the evening with a nice dinner. I already bought this wine 5 years ago when I lived in France and always try to get a sip of it when I happen to be there in the summer. And I kind of like the sophisticated label.